Oooh, one away from 50! The suspense is killing me…I hope it lasts! In honor of the Spore Creature Creator (which I am still swooning over…when I can pry my children away from it) I present a much earlier game that also featured custom creature creation. Unfortunately, this game wasn’t well-received, at least partially because it was difficult to play – not only did it require your typical RTS base-building and unit herding, but you also had to build your creatures to successfully counter your enemy. Name and developer, please! If you are correct, I’ll spare you when my army of genetically-enhanced super-mutants swarms the entire world! ~ by Anthony Salter on June 24, 2008. Posted in Name That Game! I’ve honestly missed this one completely. Quick search gave me ‘gene wars’ by bullfrog, published by ea. You are correct! Mind if I ask what you searched on to find it? mobygames, strategy, 1996 – result was about a hundred-odd titles, from which the second guess was a match. Based on what I read from reviews on that game, it seems like one of those games that looked good on paper, but would have needed a couple more years of tuning to become fun..
Aww no fair, the Brits are asleep when you post these! I’d recognise Gene Wars anywhere. Alas, I think it was the start of the end for Bullfrog. Arkiruthis: Well, Gene Wars was released before Dungeon Keeper, but it definitely negatively impacted Bullfrog’s appearance right about the time Peter left…leading a lot of people to believe that Bullfrog without Peter wasn’t going to amount to anything. Dungeon Keeper 2 was fun, but pissed most of the DK grognards off (for some reason I could never figure out). 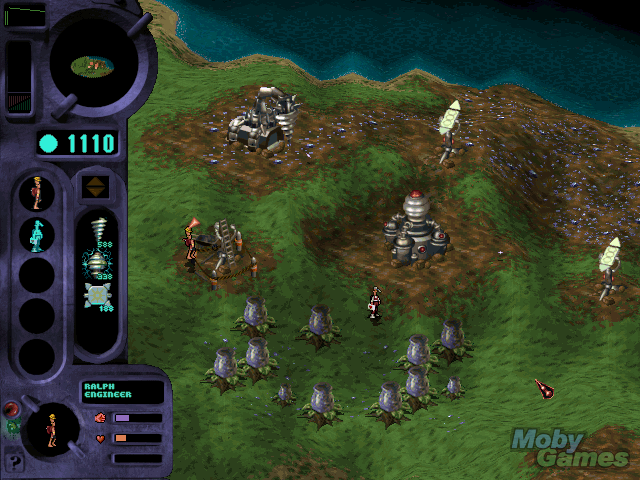 Populous: The Beginning was thoroughly mediocre. After that it was pretty much over. Hey, I liked populous: the beginning, although I feel they should have named it something else.